US Government Calls Piracy "Unadulterated Theft"
The American government has taken a firm stance on piracy, saying that it is a serious threat to the country's economy. 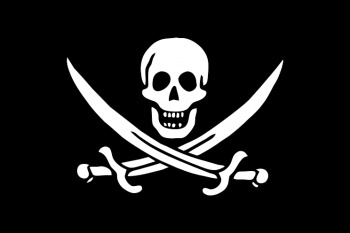 Pirates - the digital kind, not the nautical kind - are nothing but thieves according to US Secretary of Commerce Gary Locke. Speaking in Nashville, Tennessee, Locke said that tackling piracy was a "fundamental issue of American economic competitiveness." Locke said that ingenuity, innovation and creativity was America's single greatest asset, and that the piracy of intellectual property was something that the government took very seriously. He called the internet a double-edged sword, as it made piracy possible on a much larger scale than ever before, but it was also an avenue for incredible growth if used properly. He admitted, however, that copyright law needed to evolve to meet the challenges of the 21st century, and the Department of Commerce would soon seek public opinion on the best way to proceed with this goal, as well as try to establish international copyright norms. Admittedly, Locke was talking about music, which presents different challenges than videogames, but it's unlikely that his opinion on software piracy is much different. Equating piracy to theft is problematic however, as it's not quite the same crime; and despite Locke's assertion that pirates should be "dealt with accordingly," the punishments for piracy are often ridiculously harsh.